All Importers shall have to open an Electronic “I” Form (EIF) through their banks before filing of a goods declaration with Customs. Received new notification regarding Implementation Of Online ‘EIF’ Module in Weboc system, After execution of EIF module, all importers might be required to link their GDs with the EIF, issued by the Bank and no GD should be permitted to be filed in the WeBOC or One Customs (OC) without the EIF. This restriction will apply to both customs clearance systems i.e. WeBOC and One Customs. As per the directives of the State Bank of Pakistan (SBP), henceforth, all importers shall have to open an Electronic “I” Form (EIF) through their banks before filing of a goods declaration with Customs. The said restriction shall apply to both customs clearance systems i.e. WeBOC and One Customs. 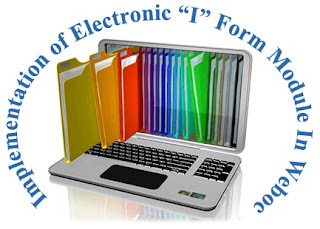 For this purpose, the software development of Electronic “I” Form (EIF) module has been completed by the Directorate of Reforms and Automation (R & A). After implementation of EIF module, all importers shall be required to link their GDs with the EIF, issued by the Bank and no GD shall be allowed to be filed in the WeBOC or One Customs (OC) without the EIF. Exception for obtaining an EIF shall be available to goods imported by a privileged person, goods imported under personal baggage and under any other special exemption (PCT Codes 9901, 9902, 9903, 9905, 9908, 9909, 9910, 9911, 9913 & 9916). In One Customs the system shall not require EIF for GD types of TP, AT, Baggage and unaccompanied baggage, Ex-bond and EPZ. The importers filing GDs in One Customs shall also be required to have their EIFS issued through the WeBOC systems. For consignment involving no foreign remittance, the importers shall file request to bank for EIF having nil value. Therefore, it is advised that all such importer, who file GDs in the One Customs system must get WeBOC user IDs immediately and without any delay.